Looking to lace up your kit with in and out bounds versatility? 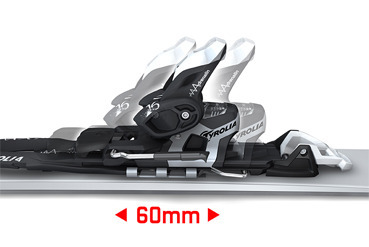 The Tyrolia Adrenalin 13 Short Alpine Touring Ski Bindings will get you there. It's sturdy frame design is compatible with a wide range of boot sizes and sole types. 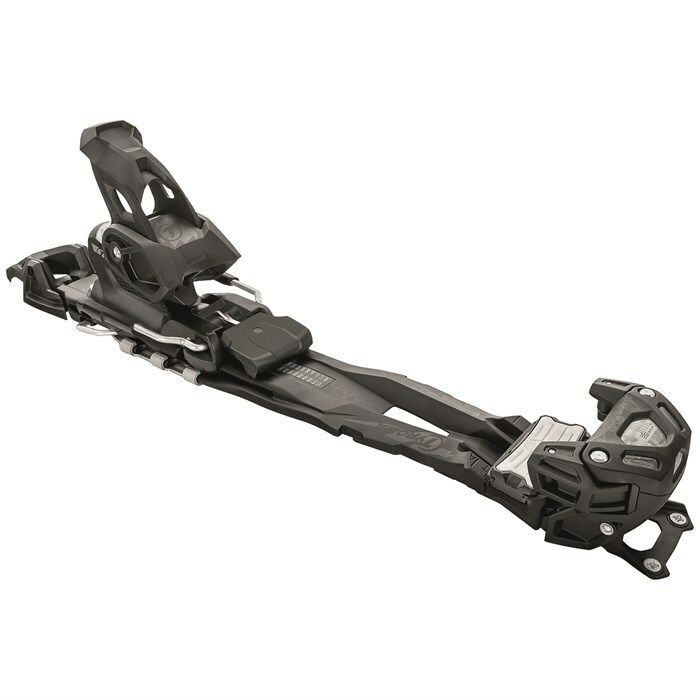 A Freeflex frame design helps the ski flex naturally when it comes time to descend, while Tyrolia s climbing aid system gives you three angle options for easy maneuverability on the way up. 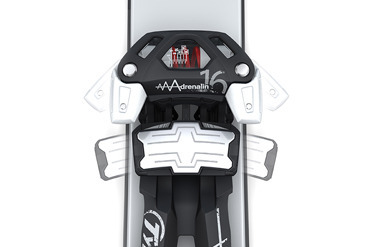 And with its 13-DIN freeride pro heel and toe piece, you know the Tyrolia Adrenalin 13 Short Alpine Touring Ski Bindings are prepped for full days charging hard in or out of bounds. 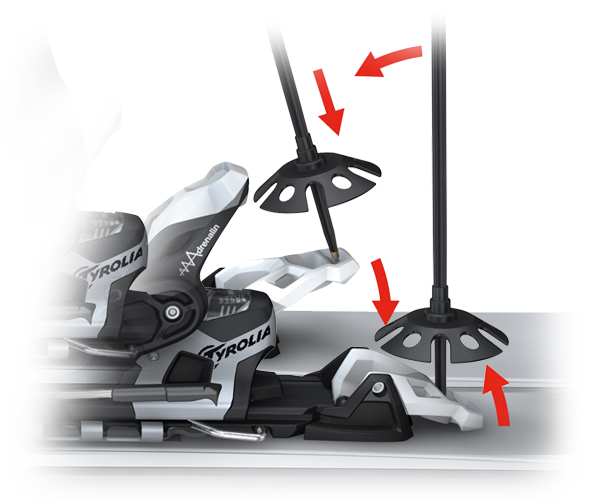 FR Pro Toe  The TYROLIA AAAdrenalin comes with the Freeride (FR) Pro Toe with its ergonomic pivot position for an optimal tilt up to 90 degrees. This system provides effortless walking over short distances. Adjustable AFD Metal  The FR Pro Toe is adjustable by changing the position of the Anti-Friction-Slider (AFS Metal) to adapt it to alpine and touring boot norms. This 68 mm wide slider plus a stainless steel gliding element provide constant release values and result in a broader contact area with the ski boot sole. 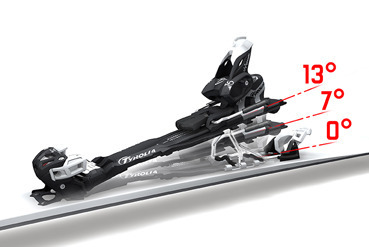 The benefits: more stability, more direct power transmission and an ultimate skiing performance. Race Pro FR Heel  The ultra-wide 80 mm heel track makes all the difference needed to take this product to unequaled heights of performance. The extra width and the superior kinematics of TYROLIA's high performance binding make it absolutely stable and reliable for perfect energy transmission and unmatched efficiency. The heel can easily be adjusted to different boot sole length without any additional tools. Climbing Aid  Another TYROLIA feature is the possibility to walk in the 0° position. After release, TYROLIA’s climbing aid can easily be operated with a ski pole to be set in three different angles (0°, 7° and 13°) for an optimal walking or climbing position. This improves balance and provides a secure stance on your way to those perfect skiing spots. Ascender Lock  The transition from skiing mode to walking mode is incredibly fast, easy and secure. 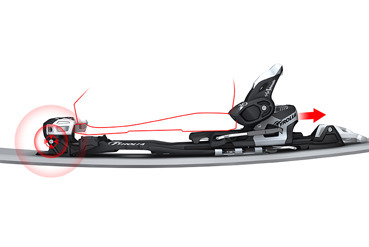 Simply use the tip of the ski pole without stepping out of the binding to move the highly visible Ascender Lock to change between walking and skiing modes. 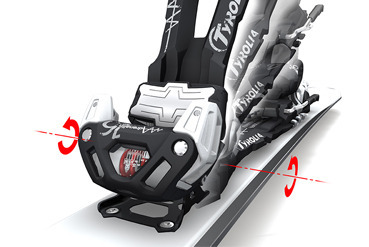 Freeflex  The platform of TYROLIA's AAAdrenalin binding comes with TYROLIA's own Freeflex function which allows the ski to flex as it should so it can retain its natural dynamics. Freeflex is enabled by the free gliding plate that runs within the titanal heel track and is supported by the binding toe's center of rotation.